For the uninitiated, the thali is the quintessential complete Indian meal. A traditional thali includes protein –dal, meat, fish, vegetables and salad; dairy – kadhi, raita, dahi, carbs – roti, rice; fat – ghee; dessert and a digestive drink – buttermilk, sol kadi or kahwa. An Indian thali is a nourishing meal with the right balance of proteins, vitamins and carbs. Maratha Samrat, KothrudMaratha Samrat is the place if you want to expereince regional Maharashtrian flavours. Regulars swear by their Mutton Chops Thali where the chops are served with rich and spicy brown gravy and the Kalla Chicken Thali with chicken cooked in traditional kala masala which gives the gravy mild coconut flavor and a unique aroma. Served in moderate portions, the thalicomes with chapati, Kolhapuri-style red hot tambda rassa andcreamy white pandhra rassa, biryani and egg curry cooked in a distinctive Varadi cuisine-style. Fish Curry Rice, Budhwar PethThis outlet in Pune’s busy Budhwar Peth will serve you authentic Konkan food. As the name suggests, the place is ideal for Fish Thaliwhich has fried fish (you can choose from their fresh catch of bangada, muddusge and bombil), fish curry (again with fish of your choice), prawn curry, rice, chapati or bhakri and a cooling sol kadi to wash it all down. The Paratha Place, Viman NagarThough known for their parathas, this eatery also serves a heavy Punjabi Thali that defines a value-for-money delicious North Indian meal. Their heavy-on-the-stomach but light-on-the-pocket Punjabi Thali has two vegetables, two plain parathas or roti, dal, rice and papad. If you’re feeling ravenous, we recommend their Maharaja Thali with paneer subzi, chhole, dal makhani, two plain parathas or roti, rice or pulav, a dessert, curd and papad. On Tuesdays, you can also opt for their offer of unlimited subzi at no extra cost. Hotel Kaveri, WagholiDon’t let the shack-like facade of this restaurant fool you; Kaveri has cult followers who regularly visit to eat their Gavran Chicken Handi. The Mutton Fry Thali, which is full of Kolhapuri flavours, is a must try. The spicy mutton gravy can be mopped up with bhakri made withjawar, besan or bajra. The hot and flavoursome mutton rassa might move you to tears so hold on to the stunning sol kadhi. Mayur Veg Thali, All OutletsThe Mayur brand born over thirty years ago is still a favourite thali place for Puneites. 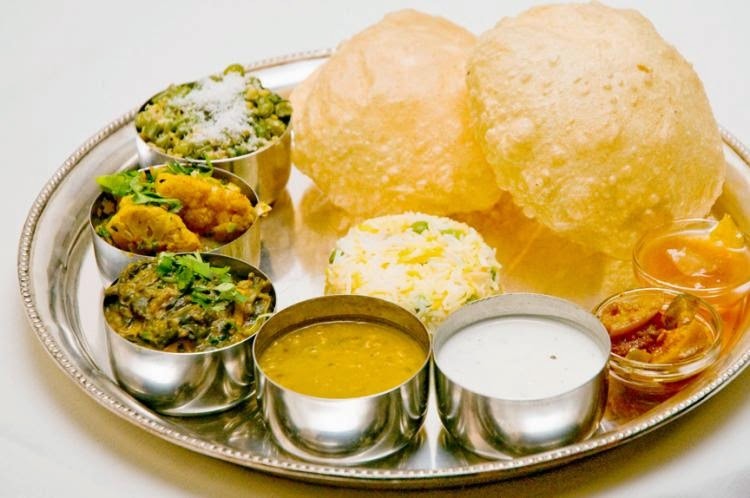 They have special thalison weekends and with summer at the onset; head over to enjoy a seasonal appearance of puris and aam ras among the other usual suspects. Food here is served hot and fresh but lately quality has been an issue at all Mayur outlets. Sukanta, Deccan GymkhanaWith its servers cajoling you to eat more as they pour copious amounts of ghee over your khichdi, it’s at Sukanta where you will experience exemplary hospitality. Their regional preparations will whisk you away to Rajasthan, Gujarat and Maharashtra. Expect to feast on items like sandwich dhokla, chaat, jowar rotla, Puneri usal,kadhi, assorted subzis, and rabdi. The waiting time here is long, especially on weekends, but the food is totally worth the wait. Rajdhani, All OutletsRajdhani has become synonymous with thalis. As per Rajdhani’s innovative ‘Thali meter’, they have served around 96,93,847 thalisto date. A meal here is a mix of Rajasthani and Gujarati dishes comprising of two starters, four dry and curried vegetables, their famous dal-bati churma, kadhi, khichdi, roti, rotla, paratha anddal. Swing by on Tuesdays and you’ll find it crowded owing to their Thali Tuesdays offer! Shabree , FC RoadServing masala bhaat, bhakari, pithla, usal, sol kadi and dessert, Shabree’s thaliboasts of local Maharashtrian flavours. During festivals like Ganeshotsav, they even add in freshly made modaks. Next time you make a shopping trip to FC Road and find yourself craving for a full meal, Shabree is your best bet. And, if you prefer indulging in a lavish thali in the comfort of your home, good news – they can parcel it for you. Panchvati Gaurav, Bhandarkar RoadWhen you eat a thali, you want the service to be meticulous. Their discerning waiters know just when to top-up your plate. Their pampering and attention is impeccable. You’ll be treated to a parade of piping hot Marwari dishes like ghatte ki subzi and bajre ki roti slathered with ghee and jaggery; but don’t worry, the jal jeera and buttermilk served with the thaliwill help you wash down the heavy meal. This article was first published on Burrp.com.